Previous research has shown the detrimental ways stress can affect the body, and now researchers have found yet another way it can be affecting us physically. According to the study, those who have been diagnosed with a stress-related disorder have a greater risk of developing a cardiovascular disease. To see how stress-related disorders affected the likelihood of developing a cardiovascular disease, the researchers analyzed over 130,000 people in Sweden’s National Patient Register, all of whom were formally diagnosed with stress-related disorders, and compared them with over 170,000 siblings who didn’t have stress disorders. The researchers also wanted to see how this trend would affect people in the general population, so they matched 10 random people from Sweden’s Total Population Register -- with no history of stress disorders or cardiovascular disease -- to one affected person. The researchers explained that stress disorders can occur after psychological trauma, a natural disaster, the death of a loved one, etc., and can take the form of post-traumatic stress disorder (PTSD), adjustment disorder, and acute stress reaction, among other conditions. The study revealed that participants who had experienced a traumatic event in their lives were at an increased risk of developing a cardiovascular disease -- ranging from hypertension to heart failure or thrombosis. When looking at those with diagnosed stress disorders, the results were nearly identical, and the risk of cardiovascular disease was found to be the greatest in the first six months to one year following diagnosis. Moreover, when compared with the general population who had no history of a stress disorder or cardiovascular disease, the risk was even greater. The researchers also found that as time went on, the risk of certain cardiovascular diseases changed. While heart failure was found to be the biggest risk during the first year of diagnosis with a stress-related disease, blood clots claimed the top spot after the one-year mark. The researchers hope that these findings indicate to healthcare professionals that there is a strong connection between stress and heart health, and there are real risks to be aware of -- particularly during the early months of a stress disorder diagnosis. “These findings call for enhanced clinical awareness and, if verified, monitoring or early intervention among patients with recently diagnosed stress related disorders,” the researchers wrote. Heart disease is a serious risk, and researchers have found that information about the topic is key. 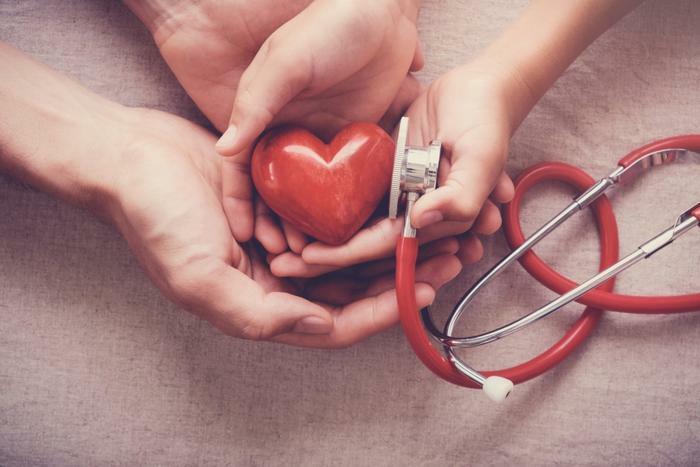 One team recently found that many Americans, while aware of the dangers of heart disease, aren’t that informed on the topic. “The healthcare community has made important strides in raising public awareness about heart disease, yet our research shows a significant gap in how much people understand about the disease and their own risk for a heart attack," said Dr. Andrea Klemes, chief medical officer for MDVIP, which conducted the study. While there are many ways to go about reducing the risk of developing heart disease, one recent study explored how more green spaces in neighborhoods are not only a good tool to reduce stress but also improve heart health. “Indeed, increasing the amount of vegetation in a neighborhood may be an unrecognized environmental influence on cardiovascular health and a potentially significant public health intervention,” said Dr. Aruni Bhatnagar.